Specialises in catastrophic personal injury cases, with a particular interest in cross jurisdictional issues, motor vehicle law, medical negligence, professional negligence, sexual assault claims, human rights law and industrial law. He has instructed in catastrophic injury cases in the High Court and the Court of Appeal, both in Australia and the UK. 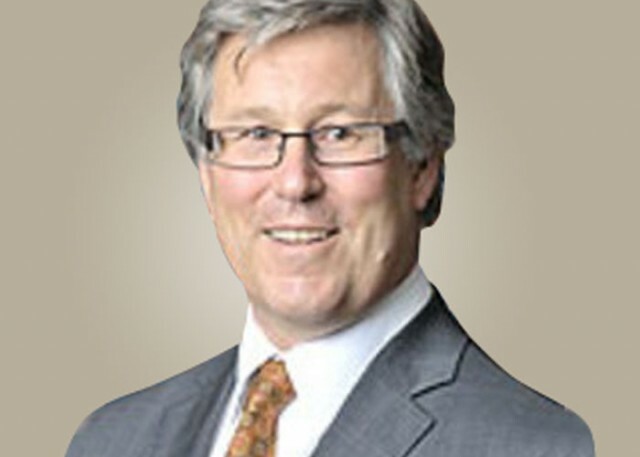 A former NSW President of the Australian Lawyers Alliance (the largest national lawyers group in Australia) and current committee member of the ALA and the Personal Injuries Common Law Committee of the NSW Bar Association. He regularly gives papers at legal seminars and conferences in personal injury related subjects, and writes for the LexisNexis Practical Guidance Personal Injury Module. Richard represents claimants across a wide range of personal injury areas. He has particular experience instructing in catastrophic spinal and brain injury cases, largely arising from motor vehicle accidents and medical negligence. He has also acted for claimants in sexual assault cases and immigrants claiming damages from their treatment in Australian detention centres. Ellis v Pell and Ors  NSWCA 17: Claim against the Catholic Church regarding the legal capacity of the Archdiocese of Sydney and representative liability of Cardinal Pell. Matter refused special leave in the High Court. Dominello v Dominello and the Nominal Defendant  NSWCA 95: Decision on the meaning of “injury” in Section 3 of the Motor Accidents Compensation Act 1999 (NSW). Shaw v Thomas  NSWCA 169: Decision on the duty of care owed by parents to a son’s friend who sustained brain damage after falling from a bunk bed at their house. Matter refused special leave in the High Court. Waller v James  NSWSC 497: Case on wrongful birth for a child who suffered a cerebral stroke four days after birth due to inheriting auto-thrombin deficiency. Decision on whether failure to warn of risk of the disease caused the wrongful birth. AUD $5 million for major birth trauma case involving a cerebral palsied child. AUD $12 million for catastrophic burn victim as a result of negligent supervision at a state run school. AUD $8.2 million for the passenger in a motor vehicle accident arising from a joy ride. Currently instructed in catastrophic injury case in High Court and Court of Appeal in both Australia and UK. Engaged in numerous catastrophic cases at mediations and in court, including regular appearance in the NSW Court of Appeal. Engaged in overseas tort matters, including Australian based torts heard in UK courts and vice versa. Mainly in Occupational Health and Safety prosecutions. Richard has recent and extensive experience acting for both Australian claimants catastrophically injured abroad, and foreign claimants injured in Australia. UK resident sustaining a severe traumatic brain injury following a quad bike accident in Tasmania, Australia. Serbian resident injured in a motor vehicle accident in NSW. Israeli resident injured in a boating accident in Sydney Harbour. French resident injured in a motor vehicle accident in South Australia. Stylianou v Toyoshima and Suncorp Metway Insurance Ltd  EWHC 2188 (QB): Decision on service outside of jurisdiction and scope of Rome II arising out of UK claimant catastrophically injured in Australia. The first case in which assessment of quantum under Rome II has been fully considered by the English courts. Cooley v Ramsey  EWHC 192 (QB): Decision on service outside of jurisdiction arising out of a UK claimant injured in motor vehicle accident in Australia and repatriating in the UK. £5.5 million for UK resident catastrophically injured in a motor vehicle accident in NSW in 2010. £3 million for Hong Kong citizen injured in motor vehicle accident in the UK in 2010, repatriated to Hong Kong. AUD $7.25 million (approx GBP £4.2) for UK resident catastrophically injured in motor vehicle accident in NSW in 2008.